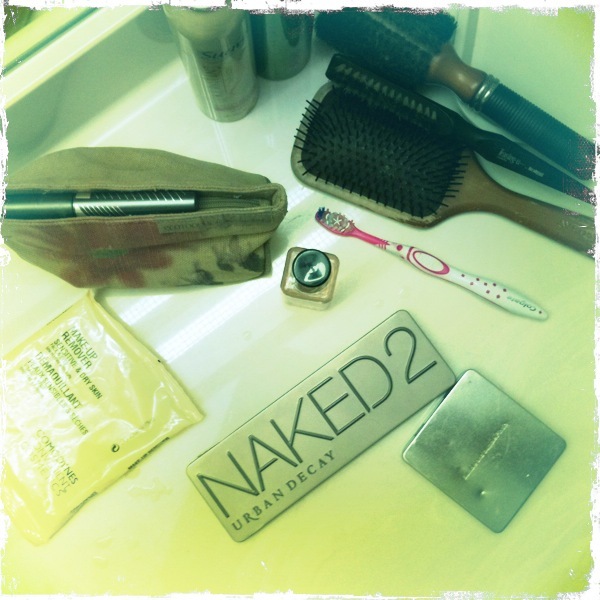 Today over on Beauty Bets, I outlined my top three reasons for getting Naked…Urban Decay’s Naked2 Palette, to be exact. That’s it up there on my hotel-room vanity. The palette (along with my flavor-of-the-week mascara) is the only eye makeup I needed to tote with me on this trip. Do check out the post if you have a moment! This entry was posted in Uncategorized and tagged Beauty Bets, gettin pretty, makeup by highplainsthrifter. Bookmark the permalink.